After a study day in St Andrews and a lovely meal in Dundee with dear friends, we chased the sunset home. 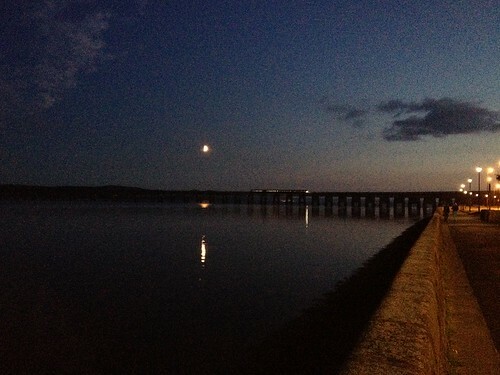 Before leaving Dundee, though, we pulled over to photograph the golden moon above the silvery train. I have always loved trains, but I love them best at night, their windows aglow.